The University of Arizona started its fall semester on Monday, with nearly 8,000 freshman undergraduate students for the 2018-2019 academic year. 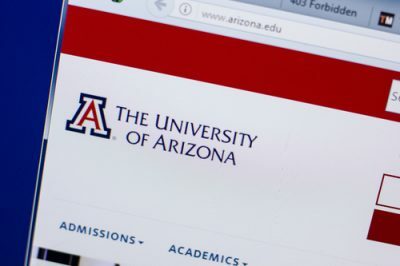 The University of Arizona said this year’s freshman class is academically accomplished, with a 7% increase in the number of students entering with unweighted 4.0 grade-point average and a 16% increase in students GPAs from 3.75 to 3.99. Although the university won’t be releasing final enrollment numbers until September 10, there is an expectation in exceeding more than 8,000 graduate students. It is more than the records of the previous year. The school expects about 2,300 transfer students to be enrolled this year, many of whom are attending online. It is important to mention that last year school’s enrollment was 44,831, which includes undergraduate and graduate students. Being established in 1886, this university is the state’s land-grant university with 2 medical schools, in it, produces graduates who are real-world ready through its 100% Engagement initiative. The UA is known globally and is also the leader in research, bringing more than $622 million in research investment each year. It ranks 22nd among all public universities in the United States. Also, it is a member of the Association of American Universities, the 62-leading public, and private research universities. It benefits the state with an estimated economic impact of $8.3 billion annually. Good luck to all the freshmen at the University of Arizona!